Come see our very own Queen Victoria Market be transformed into Delhi's Chandni Chowk, one of the busiest shopping areas in the heart of the Old Delhi, full of spices, dried fruit, silver jewellery and vivid saris. The organisers of this event hope to transform the market and create a similar atmosphere for all to enjoy. Running over two days, this festival will see the Queen Victoria Market bustling with food vendors, stalls, workshops, cooking demonstrations, cultural performances and more. Stroll along the festival with your friends and family and pick up Indian handicrafts at the stalls or possibly get some henna applied to your hands. Feel free to join in on some free cultural activities that will be on offer, from cooking demonstrations to yoga classes. Learn how to tie a sari properly, join in and try some Bollywood dancing and, of course, sampling traditional Indian cuisine at the festival is a must. Entry into the event is completely free, however, for those food enthusiasts out there seeking the ultimate foodie experience and perhaps a little extra indulgence in Indian cuisine, a VIP package is available. 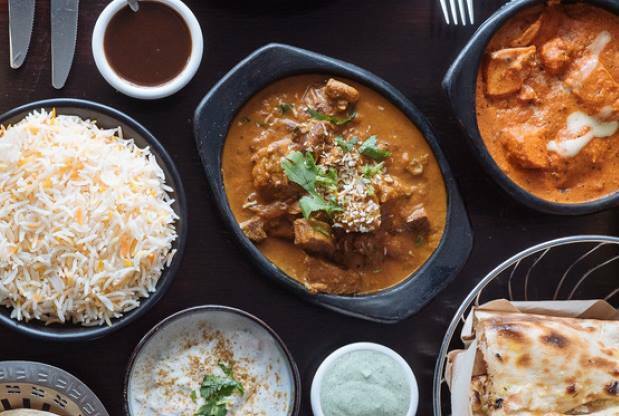 The $68 VIP Experience includes a designated serviced area to sit and enjoy the tastings of four different Indian dishes and a drink. The whole experience will last over two hours and there are different times slots to book yourself into for this special package. This is a vegan, vegetarian, gluten-free, nut-free & dairy-free event. It will be great fun for the whole family with plenty of things to see and do. The World's Largest Unworn Vintage Fashion Sale! Over 30,000 Items!